When the Panama Canal officially opened 100 years ago, it forever changed the face of world maritime commerce and shipbuilding. Today, nearly $9 trillion in seaborne commerce transits the canal, with more than 12,000 vessels making the trip each year. Of them, some 3,100 are container ships, another 2,900 are dry bulk ships, and around 2,500 are tankers. The canal is 51 miles long and takes 8-10 hours to transit, but the big limitation is its width. 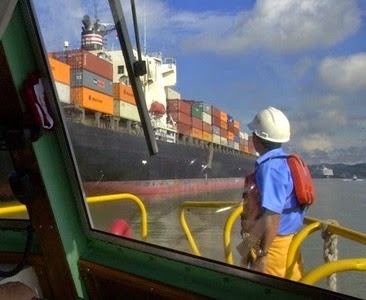 Today, the canal can admit ships up to 4,400 teu (twenty-foot equivalent). The teu is basically the size of a standard, 20-foot-long cargo container. With global shipping on the rise, the pressure has been on to make the canal much bigger, to admit more ships, and to admit larger ships.